One of my favorite parts of traveling is the actual travel itself. I love grabbing my pack, knowing that all I need is inside, and setting off for a train station. Arriving at the next destination might be the goal for a given day, but getting there is an important part of the picture, too. 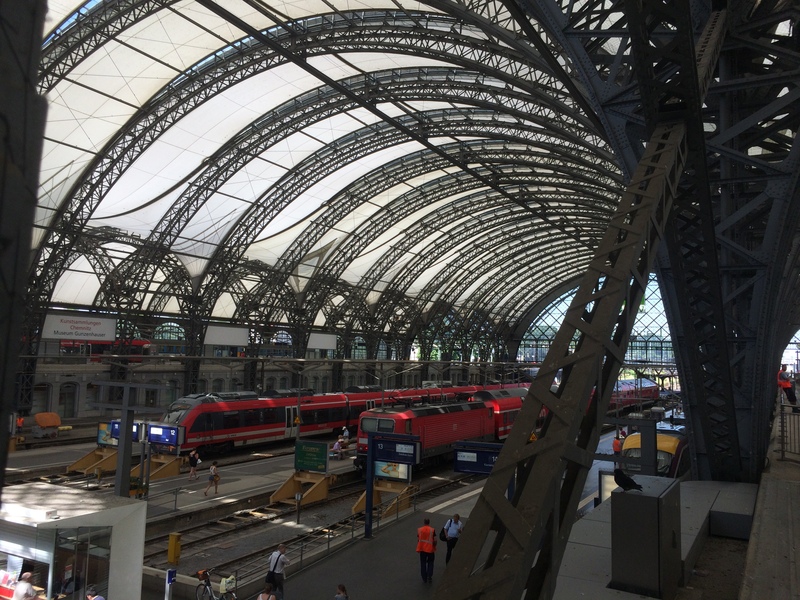 I left Dresden by train two days ago (a quick, two-hour ride), and I’ve thoroughly enjoyed the interlude the change in scenery has provided. 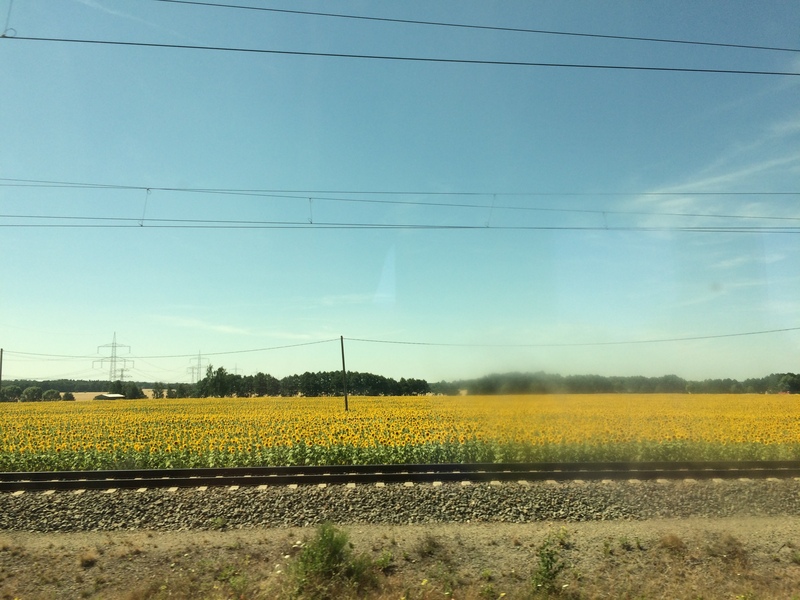 En route to Berlin from Dresden. – Not the best picture, but I think it’s a lovely view. 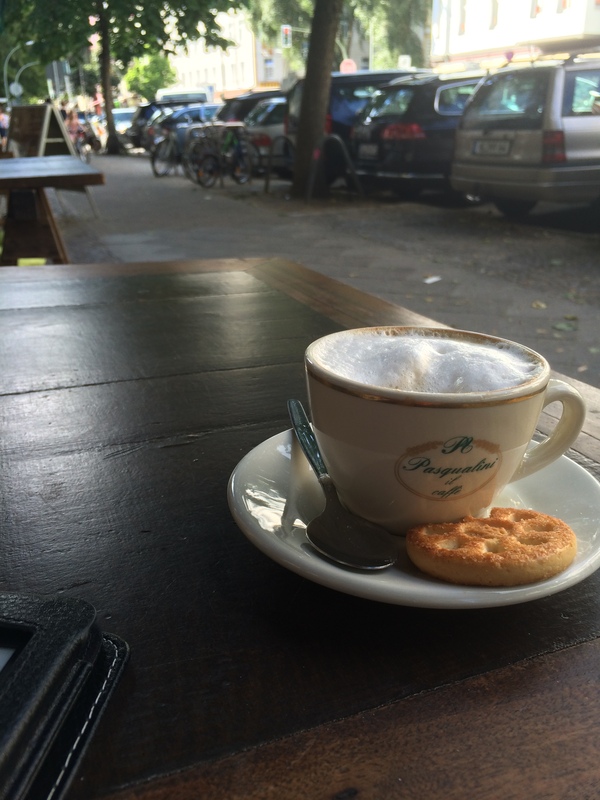 I’ve spent the last day-and-a-half or so milling about Prenzlauer Berg in Berlin. The parks here are plentiful – my favorite part might be the permanent installations of table tennis setups. The architecture is fascinating, too. I don’t really know enough about architecture other than to know that I like what I find here in the rebuilt (former) East Berlin. It’s an old-meets-new kind of thing. 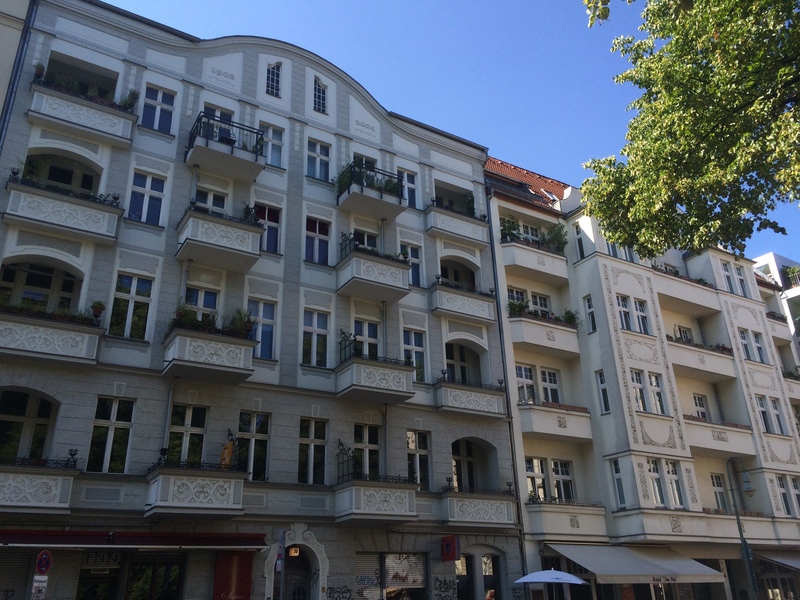 Many of the buildings are revitalized versions of pre-war walkups, and others are completely altered revisions of former DDR buildings, which were, by economic and ideological necessity, drab and boring concrete structures (assembled, often, by pieces constructed off site and then lowered into place by crane, fitting together like Legos). A lot of time in the last few days has gone to reading and writing, as well. This is another favorite aspect of my version of what’s sometimes called “slow travel”. I’m not sure why tourists try to fit ten cities into fifteen days, but it’s a thing people do, and I’m glad not to have any part in it. Sitting in a park and reading (the current selection, by the by, is A History of Warfare, by John Keegan) is one of my favorite ways to experience a city. One of my favorite ways to spend my time. While I’m in Berlin, I have absolutely no plan, and this way of doing things engenders all manner of warm, fuzzy feelings. 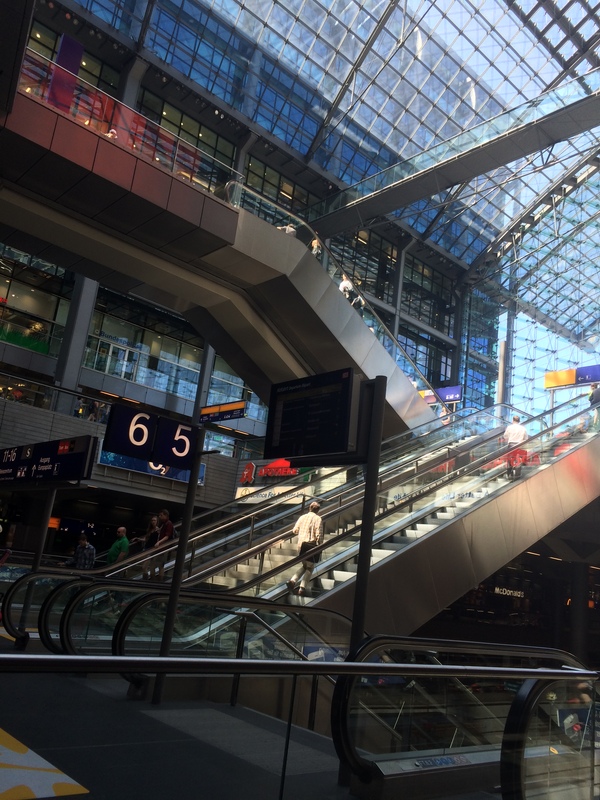 I suppose this short post really is just a way of sharing this less profound but equally enjoyable aspect of my historically driven adventures in Germany. 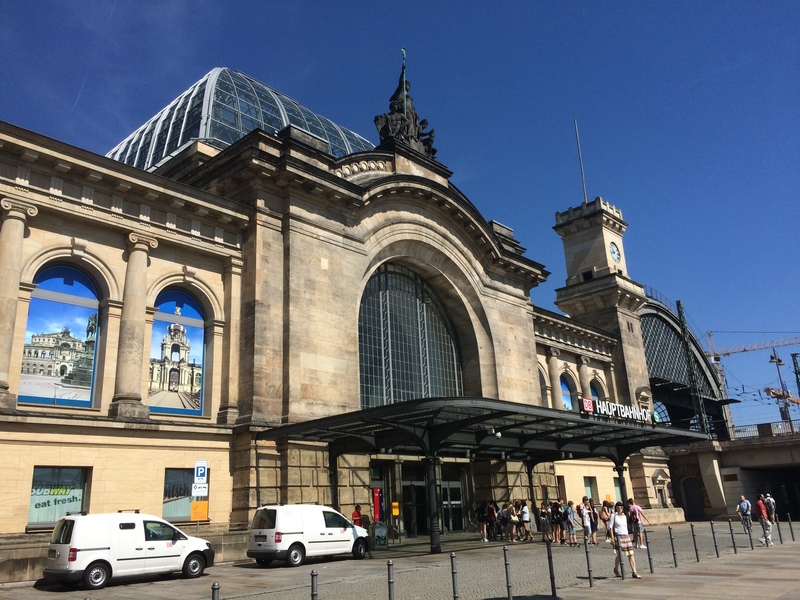 This entry was posted in Travelogue, Travelogue 2015 and tagged architecture, Berlin, city parks, DDR, Dresden, europe, GDR, germany, railway, reading, Slow Travel, trains, travel, traveling. Bookmark the permalink.